It’s no secret I love cruises. I don’t really know of a person who has cruised on a good ship and did not fall in love with this mode of travel. Aside from the fact that it’s an all inclusive vacation, your stateroom moves from one destination to another. I have traveled a lot in the last few years. Half of that travel was with Lexi, so I am no stranger to traveling with a kid. When it comes to cruises, I am less experienced, but I have been on enough cruises to know what I am doing and to be able to compare those experiences. I have gone on a cruise alone, as a childless adult, I have gone on an adult cruise with Lexi and my whole family, and this time we got to experience a Disney Cruise. 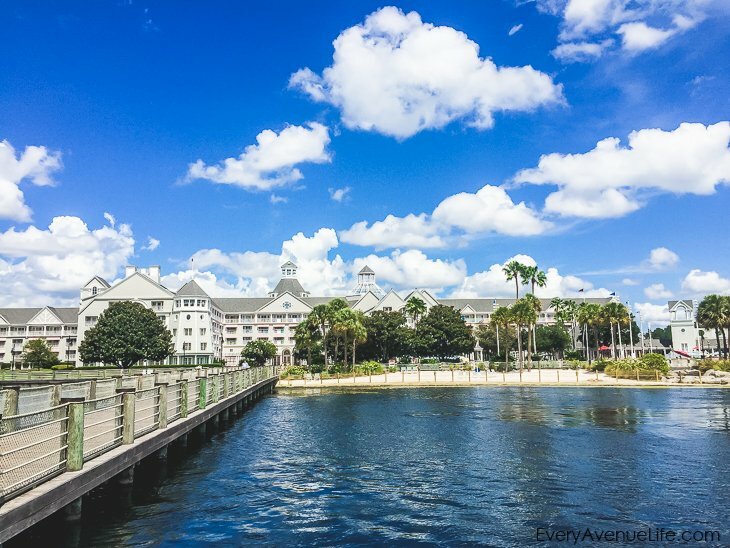 Cape Canaveral which is an hour away from Walt Disney World is the Florida port for Disney Cruises and the location could not be more perfect. 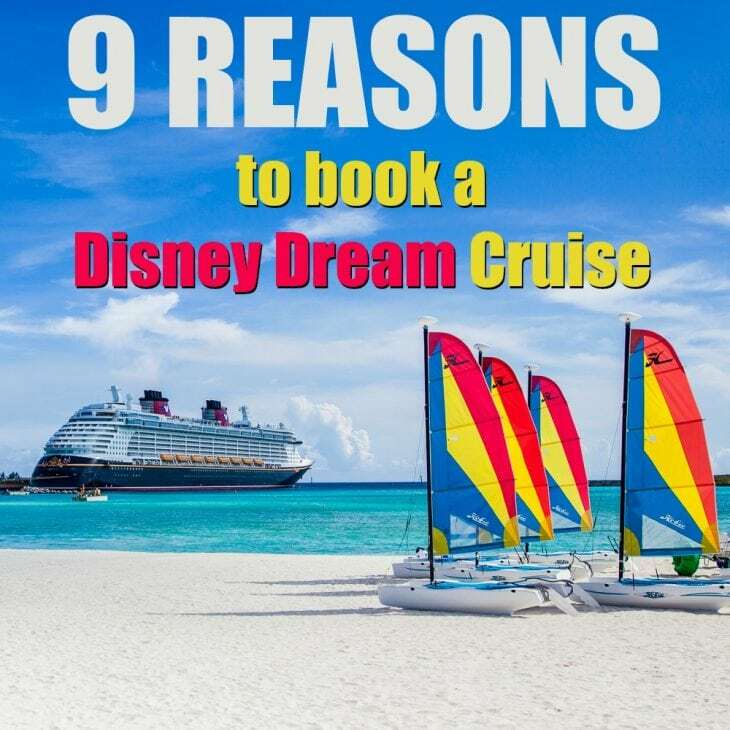 Families can plan out a short (or long) Disney trip before their cruise experience and after running around the parks, can relax on the Disney ship taking a day at sea to get to the Caribbean. Disney has a bus that shuttles people back and forth from the Disney Resorts to the cruise port, so the transfer is very easy even with small kids. 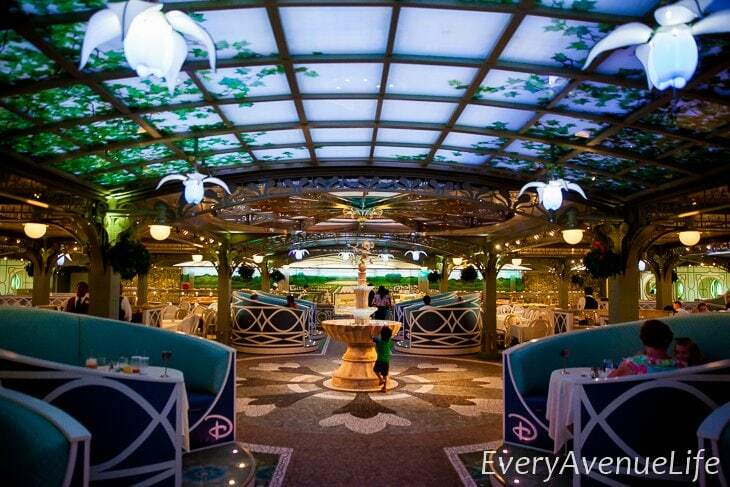 It seems like the highlight and the main attraction of a Disney cruise is an expansive Kid’s Club. You’re given a buzzer and a code word so you know when your kids want to be picked up. All kids wash their hands before entering and no adults are allowed in. The kids club has many distinct areas: Star Wars area, Lego area, Toy Story area, dance floors, movie room and so much more. 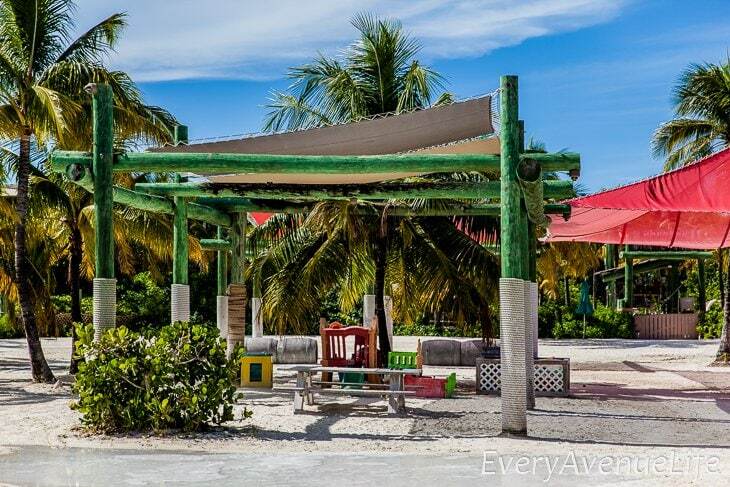 It’s wonderfully decorated in typical Disney fashion and there are plenty of activities to keep the kids entertained with the staff giving personal attention to anyone who needs it. One time Lexi was crying because I took 2 minutes too long to get to the club (I was on the opposite side of the ship) and a staff member sat with her telling her stories and singing her songs to help her calm down. This is the one thing that truly sets this cruise line apart from its competitors. Character greeting opportunities are everywhere and it is much easier to see your favorite Disney princess or character than it would be at the parks. If you child prefers personal attention, doesn’t have the attention span to wait through the lines, or is a little intimidated by the character, this would be a great way to introduce them without pressure. THAT WAS AMAZING! 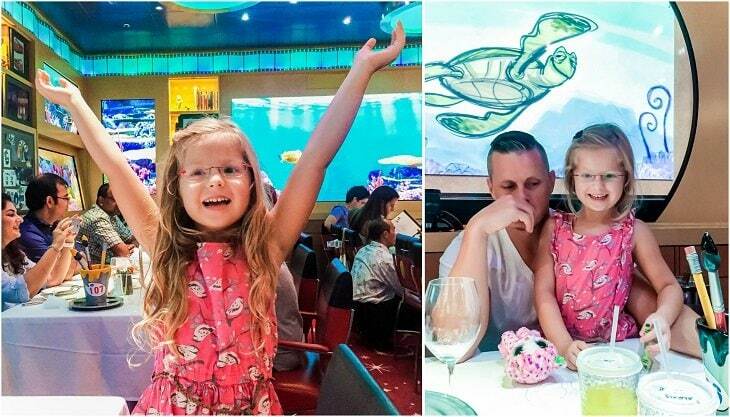 A completely different level of dining entertainment. First of all, the wait staff was phenomenal. Attention to the adults and especially kids was unprecedented. They made towel animals and performed little tricks with them while we were waiting for food. They were so incredibly attentive to Lexi that she still talks about the magic tricks they showed her. If anyone in your party has any allergies, the chef would come out and talk to the family and see what they can make for the child. You could literally point at a Mickey mouse waffle and ask them to make one gluten free or dairy free and they would write it down and do it. It was amazing. Our favorite was dining with Crush. We had aquarium screens over our tables and Crush would swim up to each table and start talking to the people, asking them embarrassing questions. It was hilarious to watch. Well, who doesn’t love Disney and the characters? Having the Disney theme around the ship is so much fun. 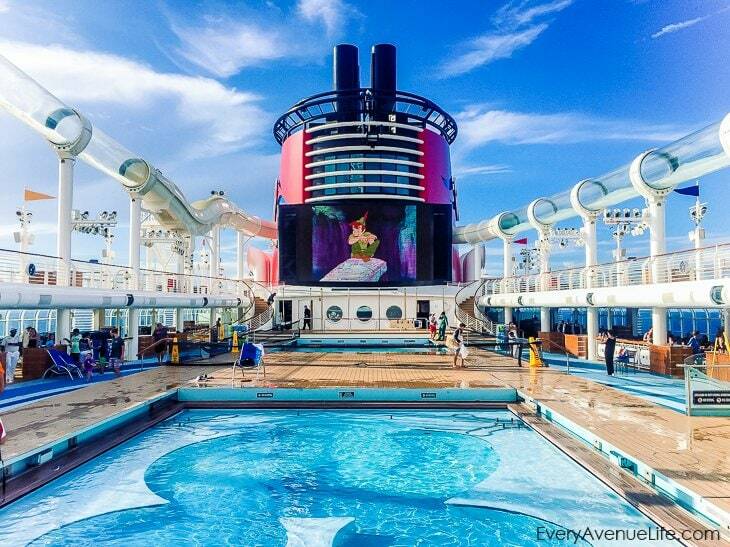 It adds a little more magic to cruising, that feeling you get at the parks. Daily pool shows with the characters, Nemo themed splash area for kids called Nemo’s Reef, themed dining and shows and more make everything magical. 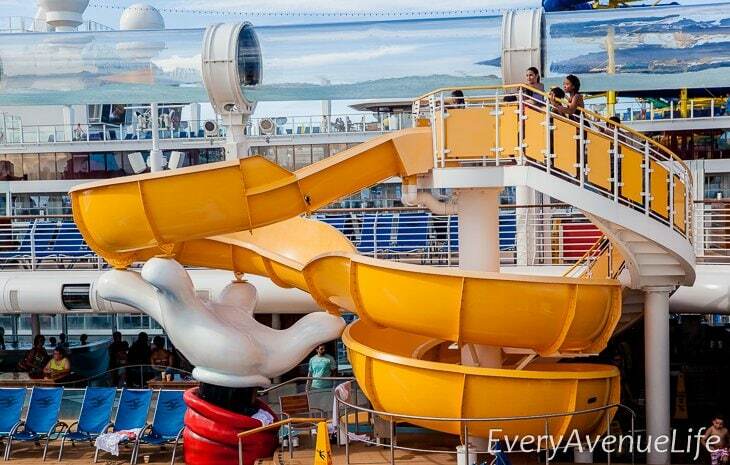 I loved that there were a lot of water activities on the ship. 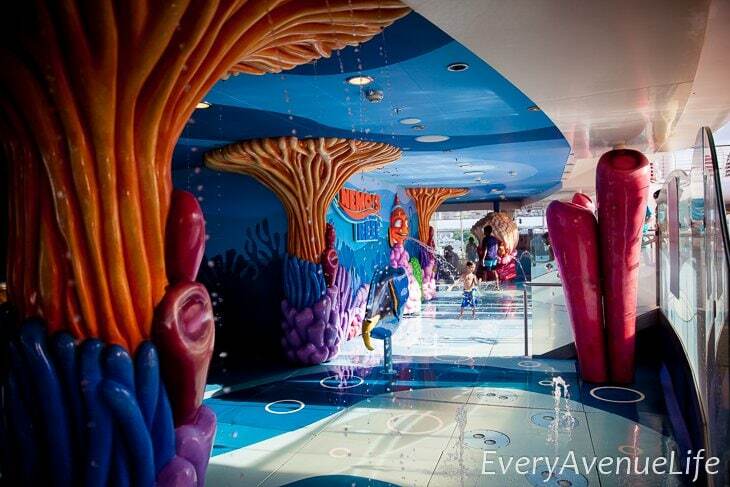 Aside from the pool which is always crowded, they had a smaller yellow Mickey Slide, a tiny toddler slide within the Nemo’s Reef water splashing area and a big “AquaDuck” slide that was so much fun for adults and kids alike. 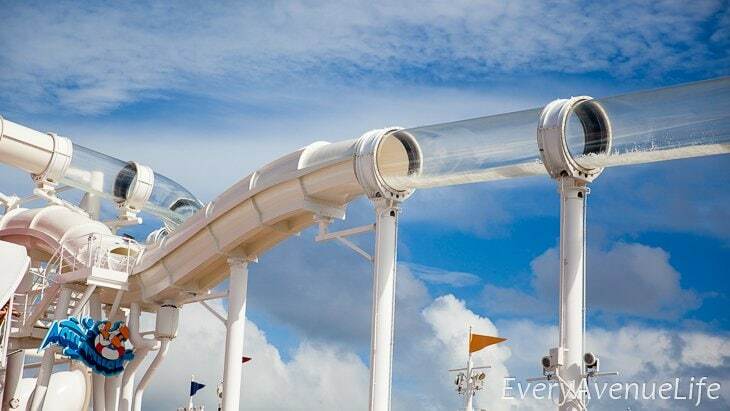 It’s a see-through slide that goes over the whole ship’s pool area, so people wave as they fly through the tube. 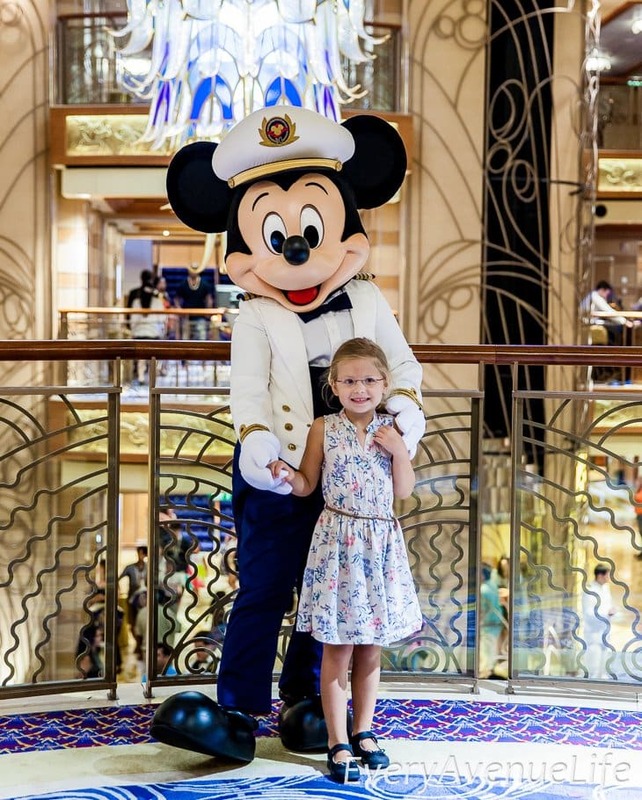 Staff and creators of the Disney cruise program truly understand what it’s like to travel with your whole family including small children. 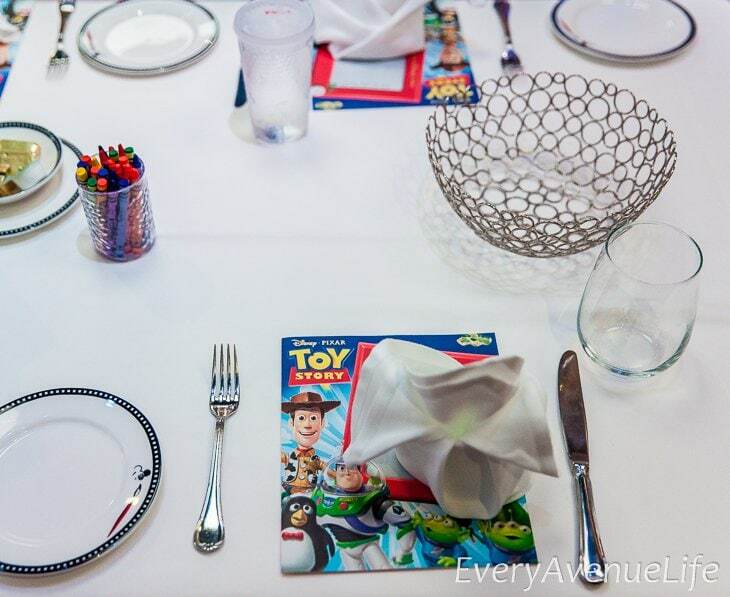 Everything is catered to families with children, from entertainment to dining to experiences. 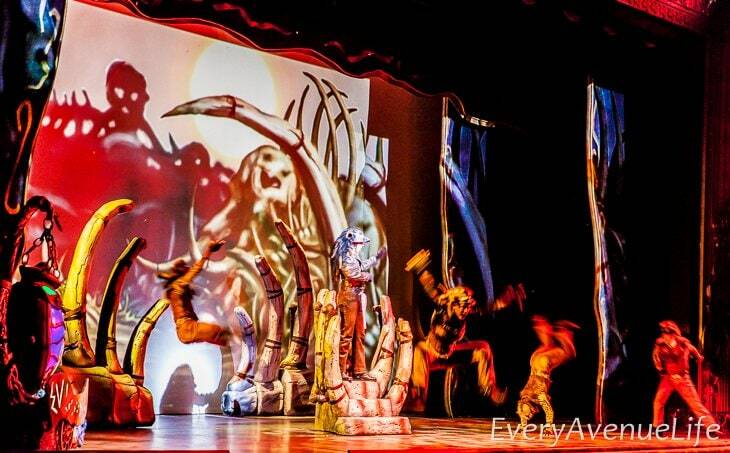 The live shows are set in the traditional spirit of Disney and are perfect for smaller kids and for adults. Neither will be bored. There are two show times, one for early diners and another for later diners so everyone has the opportunity to enjoy them. That was kind of awesome! I had no idea that was possible to drop a kid off ON AN ISLAND for real. There is a kid’s club. On Disney’s private island. And it’s awesome! Splash pad, bubbles, sand, sprinkle and mud play, playground and really fun staff. Next week, I will publish a full story about our first Disney cruise with all the fun colorful photos and experiences.